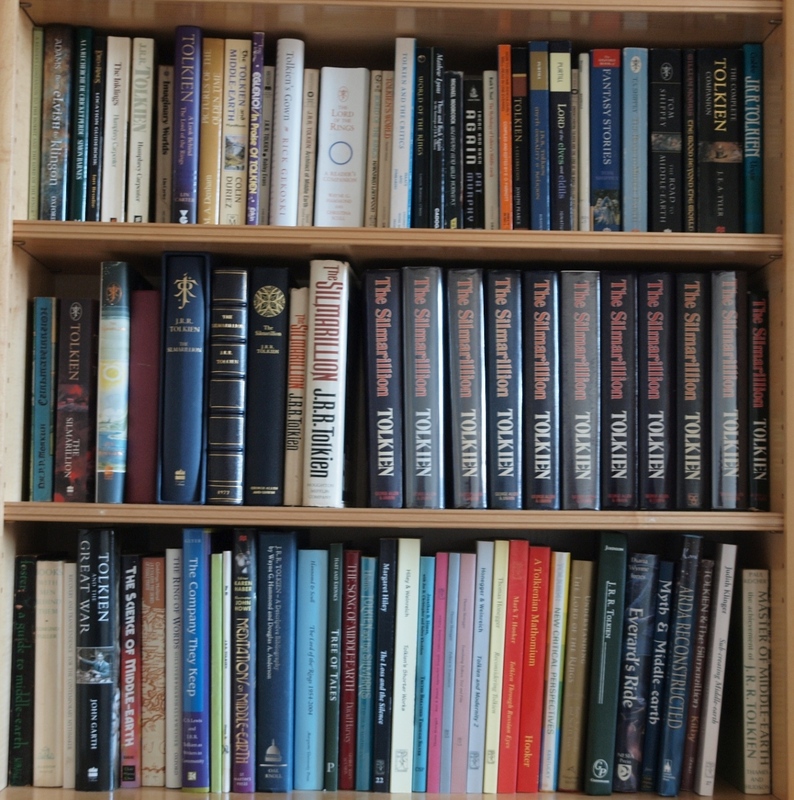 I only collect Hobbits with Dust-Jackets and they have to be not priced clipped, hence why no 1st or 2nd Printings, a small number of editions (three) need to be replaced because they do not fit my criteria. Was thinking ? What about a thread on 'showing off your books/collection? I love seeing other people's books and maybe your photo could start it ? 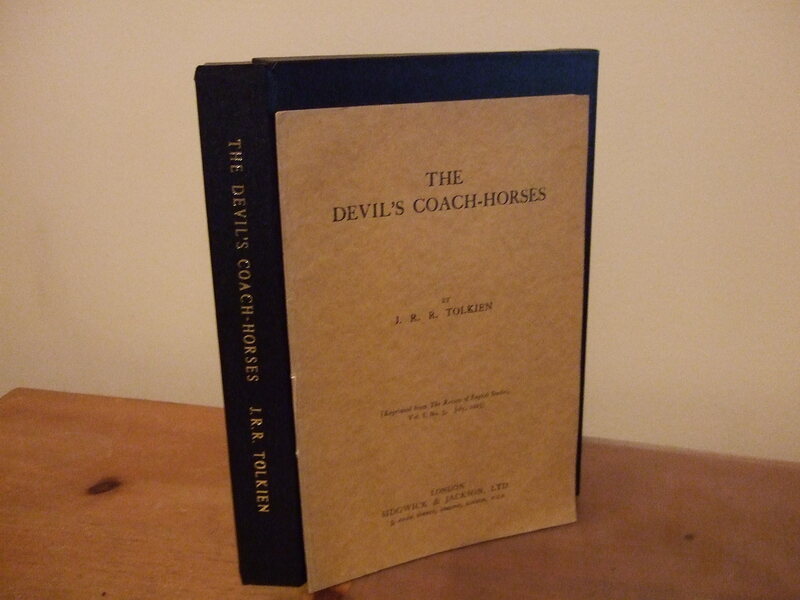 We have heard a lot about prized books in the past but would be great to have some photos all in one place if we think a good idea would one of you clearer people transfer it into a new thread ? I also would love to have a glimpse of your collections. While I'm at the beginning of this journey, you guys have such great collections, so please let me see them. I will try to get some photos up myself soon (in the process of reorganizing, things are very much out of place at the moment). I forgot about all these. I can't believe how many books Andrew fits on those shelves! Neil, I like the "Uncommon magazines, journals and offprints" picture--very nice stuff. Jeremy, I really like those bookcases. Pieter's collection makes everyone jealous. Ok here are a few photos from me. The first are two of my favourites. 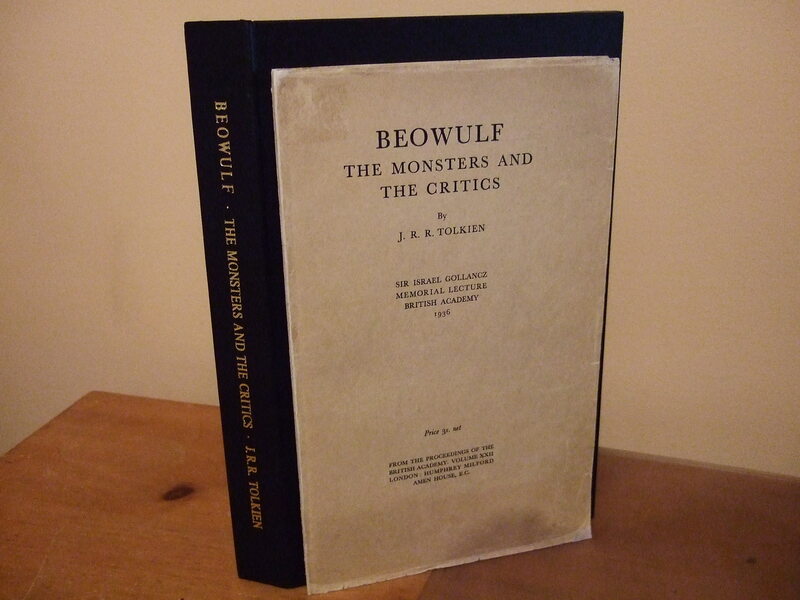 Beowulf not because it is especially rare as you can buy on abe (if have the funds) but because it was a real bargain £125. Had to have some stickers removed but it has come up a treat & camshell adds to it i think. The second is Devils. Ironically this was one of my very early purchases and i have never seen one for sale since. My copy was alledgedly kept in a safe since purchase in the 40's and this could be true as condition for such a flimsy booklet is excellent. Whether there is any truth in it bringing to life Balrog I am not sure but a facinating read. The final photo is part of my collection. The HOME & other reference books are elsewhere. I can't believe how many books Andrew (Trotter) fits on those shelves! 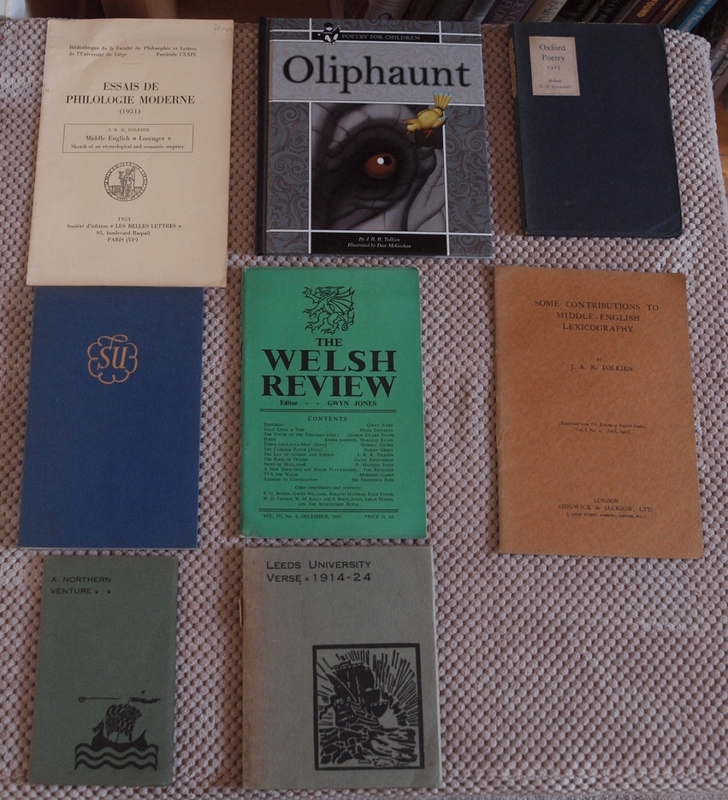 Neil (Deagol), I like the "Uncommon magazines, journals and offprints" picture--very nice stuff. 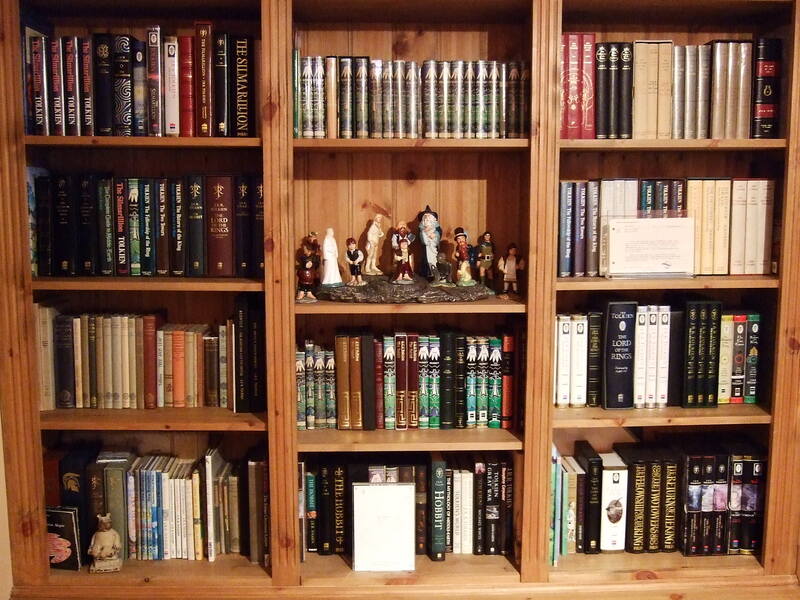 Jeremy (Urulöké), I really like those bookcases. Pieter's (Beren)collection makes everyone jealous. And some of my "specials". What is the bound Silmarillion ? Signed?